Most San Antonio real estate investors buy under market value San Antonio properties, rehab them and then rent them out. I have several rental properties in my San Antonio investment portfolio, but I have found in the last year or two that construction costs are eating too much into my bottom line. As the San Antonio real estate market is heating up, construction costs have gone up on some of my fixer uppers by as much as 50%! Rather than spending $10,000 to repair and rent a property, I was finding that I was spending $20,000 or more, and my net return was under 10% per year. 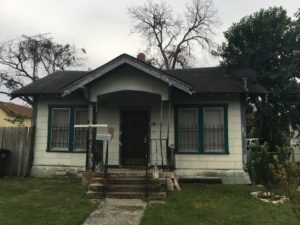 I buy the under market value San Antonio fixer upper for $50,000. I do approximately $5000 in repairs on the property, which may include painting, cleaning, minor plumbing and electrical. Basically, I am doing enough repairs on the property so that I can sell it with owner financing to a blue collar worker and his family. They will be able to complete most of the remaining repairs. By only doing $5000 or so in repairs on the property, I am able to save at least $10,000 in most cases in construction and rehab costs. This often will push my ROI to 14-15%. Typical terms for the end buyer are 10% interest, $5000 down, no prepayment penalty, 30 year note. The owner financing exit strategy has the added benefit of not having any ongoing repair costs, which is great for peace of mind and my bottom line. In summary, the foundation of my buy and hold San Antonio property portfolio is properties owned in cash and owner financed to qualified buyers. It is the primary strategy I recommend to new investors who want to build passive cash flow.